How many battles dedicated his paintings Aivazovsky! Here and there is a sea battle. Around the clouds of smoke, covering the sky, the sea, darkened from the ashes. It seems, you even feel the coldness of the water, you smell the gunpowder, you hear the thunder of explosions. 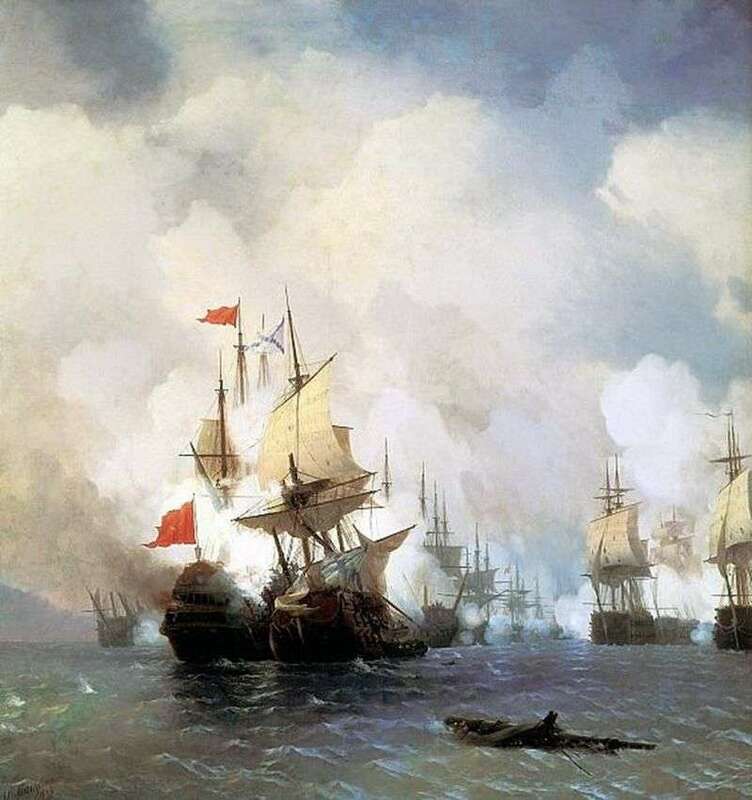 Description and meaning of the painting Sea battle by Ivan Aivazovsky.